Geopolitics unfold in slow motion; a protest movement here in one year, a diplomatic tussle in another, and then, one day, it all unhinges, and the mouth of history swallows whole nations. It is increasingly the consensus that Saudi Arabia is in deep trouble; that its antiquated system of government will soon be caught by modern times, and the results won’t be pretty. Saudi Arabia’s arm flailing in the international arena is that of a state trying desperately to hold its head above water. Last week, two Saudi police were shot and killed in the capital by still-unknown gunmen. This attack in and of itself might not be extraordinary. But Saudi Arabia has unique problems and it’s fast running out of capacity to deal with them. But first, the cliff notes. Monarchies are uniquely brittle systems because they can’t absorb geopolitical shocks very well. They are the Humpty-Dumpties of geopolitics. The Saudis have been able to keep a few steps ahead of history through a wholly unique social contract, but that contract is eroding. And while internally the Saudi state is becoming less and less effective, externally its geopolitical position in the region is getting weaker and weaker, as Iran and Sunni jihadism encircle it and the U.S. pulls back its protection. While it’s still possible for Saudi Arabia to survive the 21st century, it must act fast and has less room for error than ever; unfortunately, there don’t seem to be many Saudi leaders capable of navigating these dangerous waters. So why is running a monarchy a horrible prospect in the 21st century? 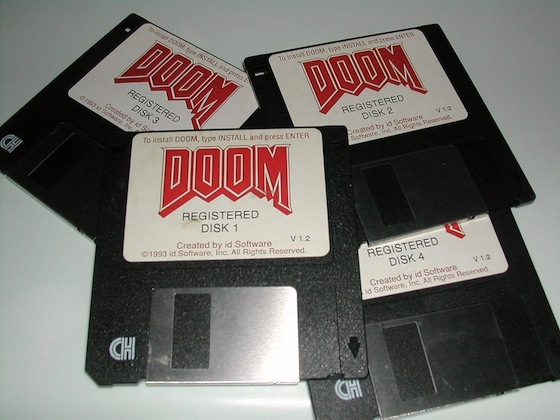 Mostly, it’s like using a floppy drive in the age of wireless. Monarchies served a specific function of a time and place. They do very well when populations are mostly rural, not well educated, and don’t have access to much technology. That’s because the ideological underpinning of a monarchy is that most people are too stupid to make big decisions; that the best way to ensure good decision makers remain in power is to keep ultimate authority within either a family or within an aristocracy; and that if the people question that system, they’re too spread out to organize before the monarchy can respond and wipe them out. Before the Industrial Revolution, those were the conditions of most people in most places. But industrialization changed all that. First, industrialization helped solve food problems, causing populations to go up. Second, industrialization drew people from rural areas to cities to work, concentrating them closer to political power and allowing them to organize faster and in greater numbers when they got upset. Third, it forced nation-states to provide better and better education systems to keep pace with the rapid technological changes happening in factories. Like a floppy disk, a monarchy is a good idea if you’re in a place where you don’t need the benefits of wireless. But if conditions around you change and you need to do more with less, you will eventually seek better solutions. Beyond being outdated, monarchies are also really bad at absorbing a geopolitical shock. “Shocks” may be a lot of bad things that rattle a nation-state; a lost war, a major terror attack, a sudden scandal, a recession. In a democracy, the political system channels the anger and trauma over a geopolitical shock into an election: the ruling party is punished and often replaced with their rivals. In a monarchy, no such avenue exists. If the King loses a war, he’s still the King. Options may exist for aristocrats to push out and even overthrow the King if the situation is truly unbearable, but it’s all very unpredictable and can easily spin out of control. Remember that the French Revolution began as an attempt to reform the French monarchy. So when things go badly in a democracy, Republicans are replaced with Democrats and vice versa. When things go badly in a monarchy, heads may roll. So how the hell have the Saudis managed to stay in power for so long? The Saudi monarchy was well-suited to the needs of Arabia for decades; while oil money was pouring in as early as the 1950s, it took a huge amount of time and effort to build cities and industries in the desert. That process is still underway today and won’t be finished even under the best of circumstances for another few decades. That meant Saudi society remained, from the 1930s when Saudi Arabia was founded until the 1970s when the Kingdom’s urban population tipped into the majority of Saudis, very much like France in the 17th century, when the French monarchy was strongest. In a spread out society, social problems are fewer; one man may govern Alaska alone if there’s only a few thousand people there. Secondly, when education levels are low, people are less able to solve complicated disputes; they need a wise man. A monarchy solves both problems, providing educated men to solve the disputes that crop up in their kingdoms. A monarchy also ensures a state doesn’t waste resources on training too many of its subjects: when you mostly need farmers, you have to find a convincing reason why most people should be farmers. A monarchy’s answer is simple: a peasant is a peasant, and so too his son, and so on, forever. Social mobility is discouraged because it’s unnecessary. In a pre-modern society, this works. A society that lives harvest to harvest cannot afford to let people wander around “finding themselves” and establishing unique identities. Their roles must be carefully controlled, or else land may go planted and people will genuinely die, to say nothing of state power. A spread out population also means a monarchy has time to suppress a rebellion before it grows too large. The Saudi Arabian National Guard, a tribal relic that reports solely to the King, still does this. Finally, the Saudis had the luck of mass oil receipts to spend. This they spread out to key elites and regions while keeping the lion’s share for themselves. They unified Arabia by road and air, modernized their army and National Guard to allow rapid deployment against internal threats, and homogenized the country further through strict control of radio, mass printings of Qu’rans and religious textbooks, and TV. This was all expensive, but they had the flush accounts to do it. But alas, one of those conditions is no longer present. Specifically, the Saudi monarchy is no longer the most effective way to rule the people and territories that make up the Kingdom. Demographics have shifted against Saudi power: 82% of Saudis now live in cities. How critical that is to a rebellion can be illustrated by comparing Egypt and Syria in 2011. Egypt’s uprising took just over 2 weeks to topple Hosni Mubarak; that’s partially because Egyptians overwhelmingly live along the Nile and could readily travel to protest sites. Syrians, on the other hand, took longer to organize their revolution, beginning with small scale protests in its most urbanized city, Damascus, in March 2011, and finally spreading to a full civil war by November 2011. That’s because while many Syrians hated Assad just as much as Egyptians did Mubarak, their more spread out positions allowed the Assad regime to deploy force from one place to another, playing whack-a-mole with protests until Syrians began their full uprising. Additionally, 49% of Saudis have Internet access, are the most active Arabs on Twitter, and have a literacy rate of 95%. The Saudi education system is rightly panned as terrible, but neither is it totally primitive. It’s probably fair to say Saudi public schools provide about the same education level as many British factory workers in the 19th century. In other words, Saudis are overwhelmingly educated enough to make some big decisions. The need for a royal wise man to solve disputes between squabbling subjects is weaker than ever. Which is why the Saudis have, since 1979, double downed on repression. The Saudis themselves have been smart to realize they need their subjects more than their subjects need them. Hence the increasing sophistication of their security forces, their heavy reliance upon the United States as an ally to minimize their exposure to geopolitical risk, and their usage of culture as an appendage of their emerging police state. North Korea may be able to get its people to “volunteer” on public works at a whim, but can it get its male citizens to believe they’re going to Heaven by discriminating against their sisters, wives, and mothers? That feat is impressive and keeps some attention off the Saudi royals. And while their security forces are better than ever, their alliance with the United States is in jeopardy. The United States is undergoing a major worldwide strategic shift: protecting allies in the Middle East unquestioningly is no longer affordable. Both China and Russia must be managed and thwarted from upsetting America’s applecart, so there’s less power than ever to use to protect Israel, Saudi Arabia, and other American allies who used to take American protection for granted. This is why the U.S. must have an Iran deal that opens the door to bring Iran peacefully into America’s camp. That shift directly conflicts with Saudi geopolitical priorities, who see Iran’s Islamic Republic as a direct threat to their system. That’s not because Saudi Arabia believes so much that Iran will conquer Arabia; even the most paranoid Saudis must realize that a direct invasion would cause a counterattack led by the United States that would destroy Iran as utterly as Saddam. No, the danger is in Iran’s example. For Iran’s people, conservative as they are, once overthrew their own unpopular, uber-rich , uber-corrupt, pro-Western monarchy and replaced it with an Islamist system. In other words, they did to Iran what al-Qaeda, the Islamic State, and many Islamist groups would love to do to Riyadh. Worse, that system has mostly worked. It survived an invasion from Iraq and was able to absorb the near-revolution of 2009. To Saudi royals, the Iran example must be demonized, because to Saudis who hate their monarchy but don’t trust democracy, Iran’s Islamic Republic is a viable third way. And of Saudi Arabia’s pillars of power, only one remains untouched, but the war in Yemen may break it. Remember, Saudi’s monarchy used to be a good idea for Arabia, but that time has past. It used to be able to use its culture as a blunt weapon of repression, but rapid urbanization and higher levels of education have created a parallel society best illustrated by reddit’s Saudi Arabia subreddit. Saudis have become very good at mouthing pieties when they have to and living their lives the way they want as soon as they’re no longer being watched. This is not all that far off from the cynicism that characterized the late Soviet Union as faith in communism wore down and then evaporated. So all the royals have left is the power of the gun. And guns they have; well-trained elite units hunted down al-Qaeda a decade ago. The war in Yemen is a massive and unprecedented risk for Saudi Arabia. It has now committed itself to restoring the former president and is using all its geopolitical capital to do so, assembling a coalition of diverse Sunni states from Sudan to Pakistan. Some of them are acting out of shared interest; the United Arab Emirates hates and fears Iran for the same reasons as Saudi Arabia, while others, like Pakistan, are returning favors for years of past support. The comparison of Yemen to Vietnam is decent, but it’s better to compare Yemen to itself. In the 1960s, Egypt once embarked upon the same kind of adventure to establish a Yemeni republic aligned with Egypt. Back then, Saudi Arabia supported the rebellion that helped weaken Egypt so much that its forces were much reduced when they faced down Israel in 1967. Those two events broke the back of Egypt as a regional power. Unlike Egypt, though, Saudi Arabia can’t absorb those kinds of geopolitical shocks without risking fracture. Saudi Arabia is a divided country; its east, central, and western regions have broadly different cultural backgrounds, with the most intolerant version in Riyadh itself. 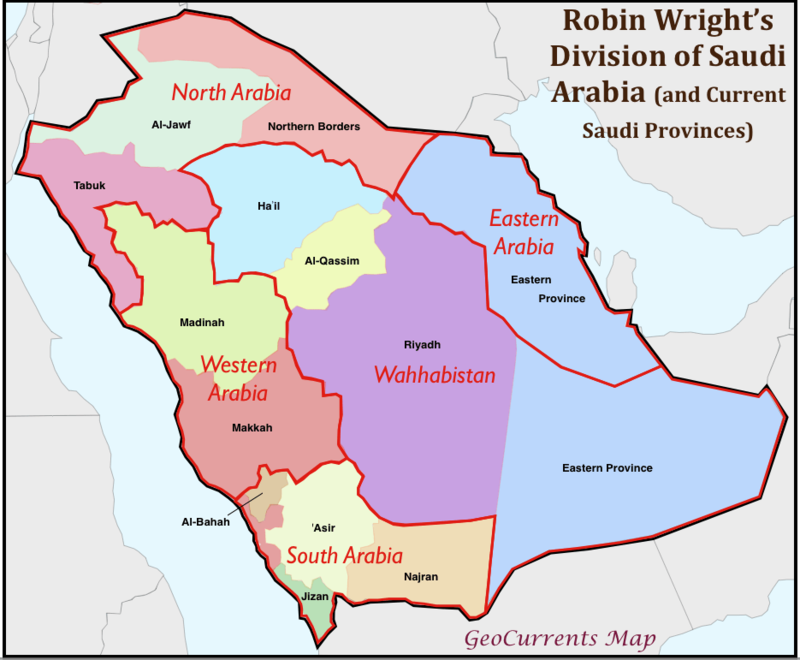 Its division between liberals, Islamists, and royalists isn’t as geographical, but cuts across each and every Saudi city. Tribal loyalty remains a factor, as well. If Saudi Arabia fails to achieve a clear-cut victory in Yemen, it will demoralize and weaken the only real pillar of power it has left. Saudi’s officers and soldiers will blame the King for sending them to fight an unwinnable war; his citizens will grumble that a country with their wealth and access to modern military technology should be able to overcome a primitive enemy like Yemen’s Houthis. It will be a clear-cut test of Saudi power, and due to Yemen’s internal geopolitics, Saudi is very likely to fail it. This will undermine the security pillar of the Saudi Arabian system, producing the kind of backlash the U.S., USSR, and Egypt all felt in their own unwinnable guerrilla wars in Vietnam, Afghanistan, and North Yemen. That backlash will be too much for Saudi Arabia’s monarchy to handle. In a democracy, you switch presidents; in a monarchy, switching kings is far more dangerous. It’s entirely possible human agency and Saudi wisdom allows the discontent caused by the failure in Yemen to be channeled into a royal “retirement,” with a more suitable and forward-thinking king coming forth from the ranks. But in a system that has spent decades enabling hardliners and rewarding those who refuse to compromise, that seems deeply unlikely. Police states, even developing ones, are not the breeding grounds of wise statesmen. And much like the Shah, the Saudi royals will find themselves abandoned by the United States. Over the coming years, it will be obvious to anti-Saudi dissidents that the U.S. will not save the regime. This will embolden them to make greater demands. Worse, to recover its lost moral standing in the world as it faces down Russia and China, the U.S. will increasingly undermine Saudi Arabia and demand greater concessions to its dissidents. As the U.S. develops green energy and shale oil replaces Gulf crude, the geopolitical need to guarantee Saudi oil at all costs will diminish. Iran and its Islamic Republic will not be overthrown by the U.S., but left alone, and will subsequently prosper. If Iran plays its cards right, it has a decade of growth and prosperity ahead of it. Saudi Arabia, meanwhile, is saddled with greater and greater bills as it tries to bribe its subjects into complacence. Its rotten education system has failed to produce a sustainable economy but has produced subjects capable of using Twitter to complain about their local governor. The combination of American estrangement, a long guerrilla war in Yemen, and a generation’s cynicism could be fatal for the Saudis. Without America’s protection, the Saudis will be exposed on all sides to their rivals. A long war in Yemen will undermine their security forces and provide a stark example of how incompetent the monarchy really is. Meanwhile, the educational, cultural, and demographic sea change in Saudi Arabia will produce a generation of lip-service Saudis unwilling to do much to save a regime they see little point to. The question will be whether or not the change is violent or peaceful. That is again where human agency comes into play. In 1991, the USSR collapsed with hardly any violence. In the 19th and 20th centuries, Britain peacefully went from an imperial monarchy to a parliamentary democracy. That could be Saudi Arabia’s slow, careful path. Or they could fall victim to the forces that killed Louis XVI and have rent asunder Syria. To try to shoot their way through the coming change will cause a civil war: that civil war will consume all of Arabia, with little Gulf states turned to giant refugee camps at best, or into factions in a pan-pennisula war at worst. The timing is years, not decades. Saudi Arabia has not outlived the forces that produced the Arab Spring (and subsequent winter); it’s merely at a different cycle in history. King Salman may have inadvertently accelerated the process by moving into Yemen. History will judge him on how he and his successors manage his likely failure. Brilliant! This is a well thought, well written post. Well done.